This entry was posted on October 31, 2016 by Kailey. Halloween is here. It’s the best time of the year for free candy, scary movies and spooky costumes. But what’s one thing scarier than Freddy, Jason or Michael combined? Losing or breaking your iPhone. It’s happened to the best of us. You’re out walking about, going from house to house with your kids or at the company costume party. You reach for some Vampire blood-orange punch and your phone slips out of your reach. Horror movies are nothing compared to your iPhone being lost or broken. Well, being a Samsung Note 7 owner is definitely a close second. 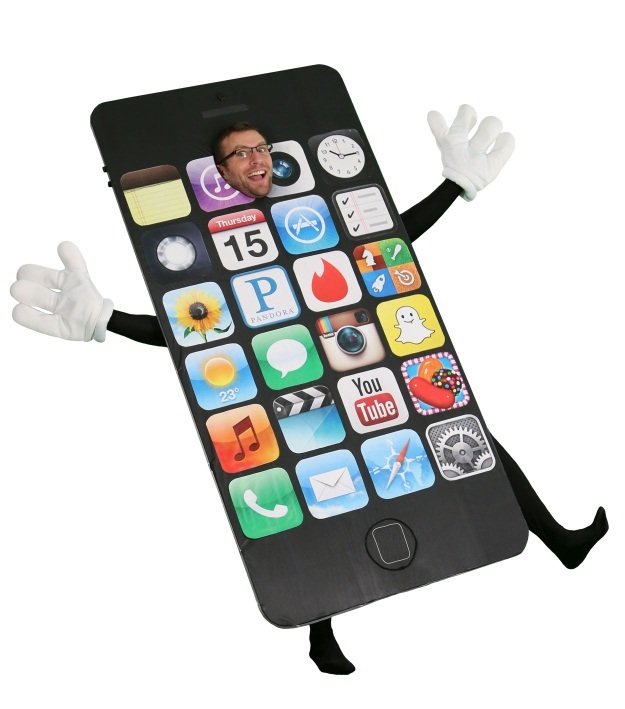 That’s why we here at the Bindery Blog have taken it upon ourselves to save the iPhones this Halloween. Because free candy, weirdly colored beverages and the hundreds of Stranger Things costumes are nothing if you can’t Snapchat/Instagram every moment. A great costume is everything at Halloween. So whether you’re going as Eleven, Clinton or David S. Pumpkins, having a way to store your iPhone is a must. If you can find a costume with pockets you’ll be in luck. Just throw a case on your iPhone and you’ll be ready for all sorts of spooky shenanigans. I favor this onesie not only for the pockets but for the ability to sleep literally anywhere in it. However, not all costumes are created equal. If your costume lacks pockets, you may have to find a more creative route. Wearing a wig? Hide it under there. Being Eleven from Stranger Things? Store your iPhone with your box of Eggos. 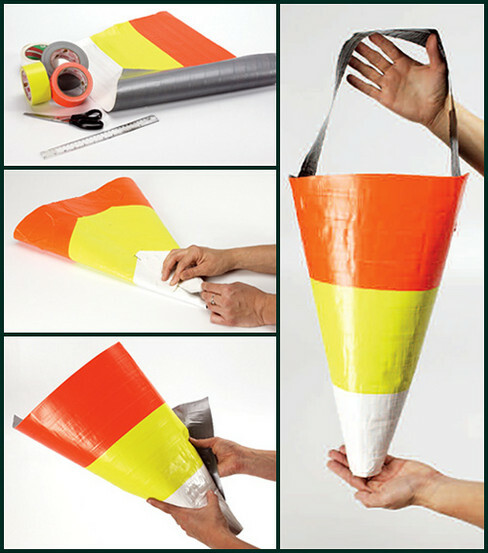 Plus, if all is lost, you can always make one of these out of duct tape. Finding ways to hide your iPhone is important, but keeping your iPhone warm can be even trickier. Your best bet is to ditch the costume with less material and go for gold. We mean, dress like a llama or the abominable snowman. But if dressing up in 10 pounds of wool isn’t really your style, you can read up on our tips and tricks here. 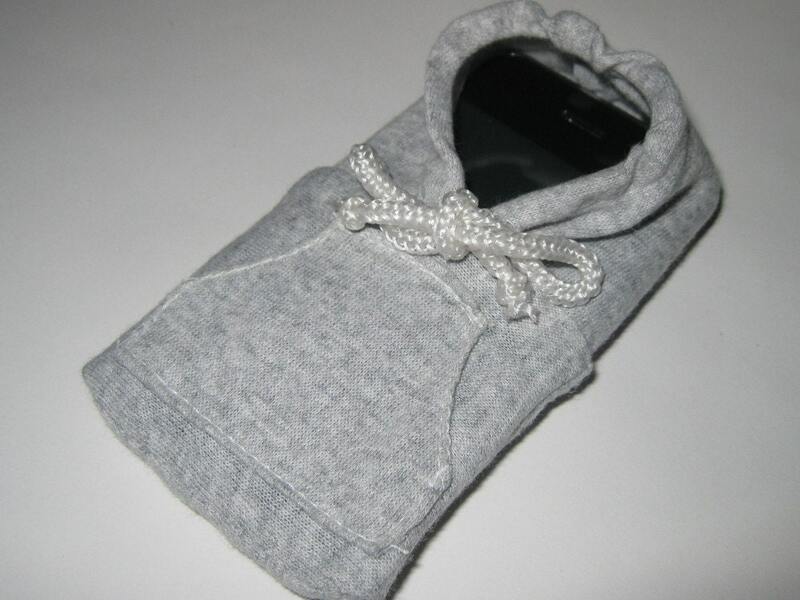 to keep your iPhone warm. Or you can always buy a little sweater for it. While keeping your iPhone safe and sound is all important, making sure you stay in style is even more so. Just like the mini-costume for your dog, your iPhone deserves some creative costuming too. Worried that no one will be able to see your sick cat costume? Just take one of these glow in the dark iPhone cases and you’ll be glowing…. literally. Halloween is a spooky good time. But it’s a nightmare when you lose or break your iPhone. Whether you go out Trick or Treating or tear up the dance floor dressed as a werewolf, your iPhone will be there with you. While these tips might be as helpful as a zombie, we here at Pad & Quill have you covered when it comes to keeping your iPhone safe this Halloween and beyond. Happy All Hallows Eve! 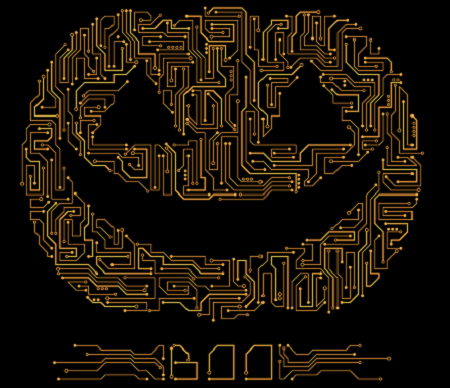 This entry was posted in iPhone, Musings and tagged halloween, iPhone, Holidays on October 31, 2016 by Kailey.